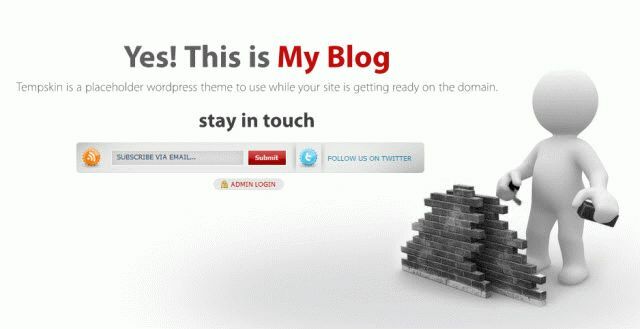 If you are launching a new WordPress site on your domain and your site is under development, you would definitely want your visitors be still attached to your website. 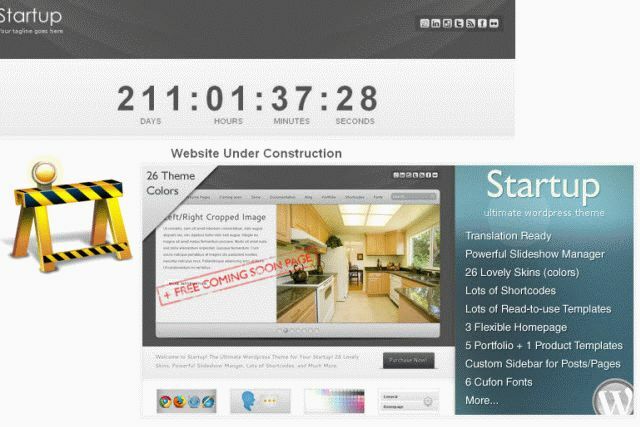 You can do this by using the ‘Site Under Construction’ or ‘Coming Soon’ WordPress themes. In case you are redesigning your already existing site, still you can use this kind of light WordPress theme, to keep your visitors tuned with the updates on your revamped site launch. Also you can use this theme in case you have a parked domain, and not currently planning to host any functional site on it. 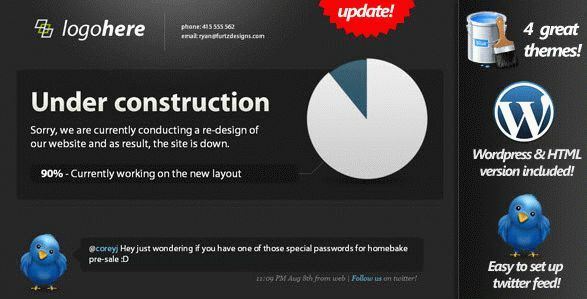 Here is a list of more than 20 nice, attractive free and premium Under Construction WordPress themes, that you can refer if you are in process of launching your site. The theme displays a friendly holding page to let visitors know that you’re busy getting dressed up. It also gives them the chance to subscribe to your feed before you’ve launched. It has features like Colour switcher (choose between red or blue), Customisable “please excuse us” text, FeedBurner RSS and Email support, Fully valid code. 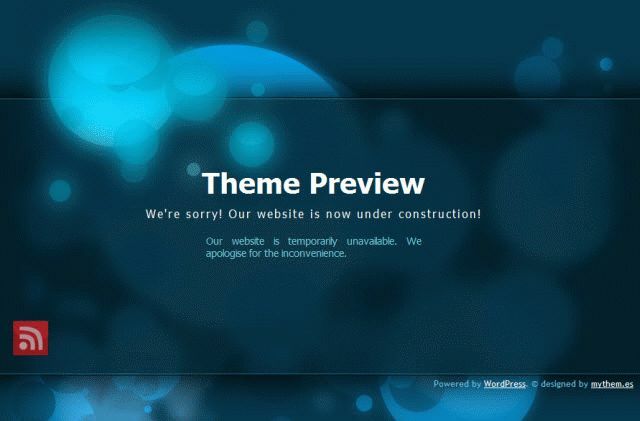 This theme is available on WordPress Themes Repository for free download. Wave goodbye to “coming soon” text on a boring white background. 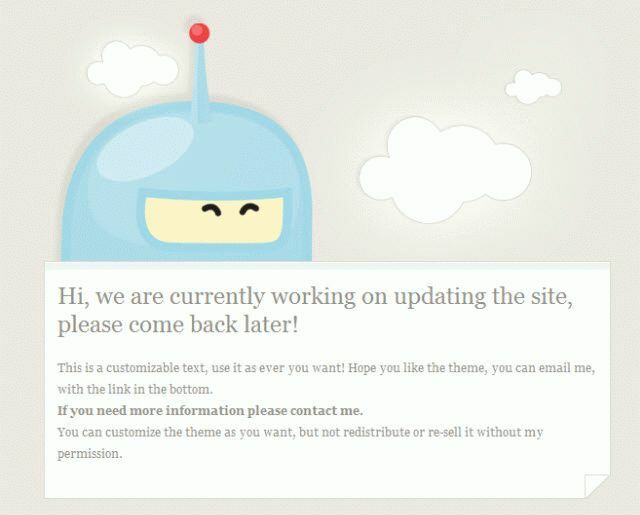 With this theme, you can change the background color and looks of the theme by simple admin options. 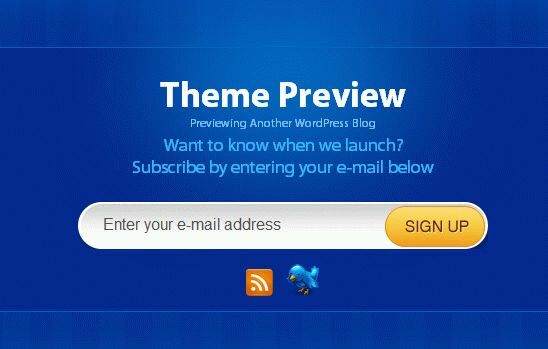 This theme is also available on WordPress Themes Repository for free download. 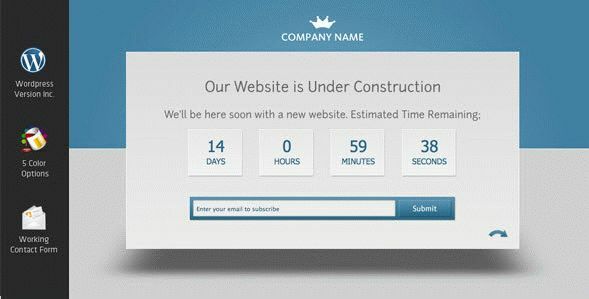 Fleepy Under Construction Theme comes with 5 colors (Blue, Green, Purple, Red, Yellow), Working Contact Form, Countdown Script for the due date of the opening, Newsletter subscription form, Help documentations, Labeled, layered and easily customizable PSDs. This is a domain parking theme for WordPress, available on WordPress Themes Repository for free download. 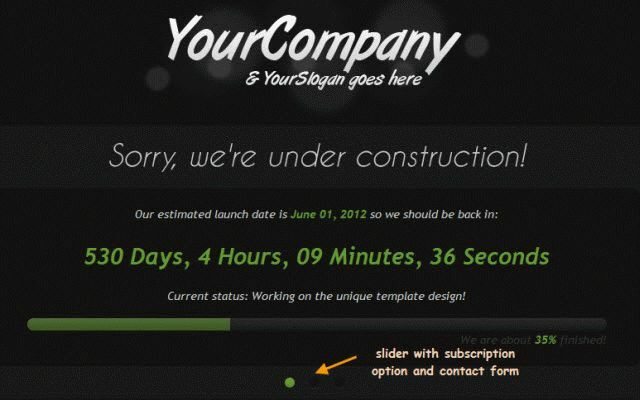 This is powerful under construction/holding page with AJAX Newsletter Sign-up and Contact forms, Twitter feed, Countdown Timer and Progress Bar. It also can be used as site down/maintenance page. 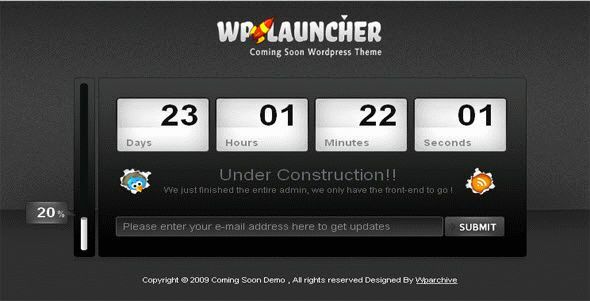 This is actually a WordPress Plugin that can be used to create Coming Soon or Under Construction Page for your WordPress site. 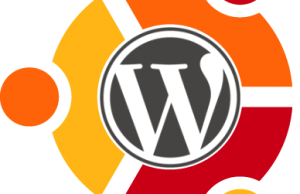 Park your domain in style with WordPress and Google FeedBurner. It is great looking, advanced speciality page, designed to attract potential users of your future website. 2 in 1! Both HTML and WordPress versions, each in 10 colours. 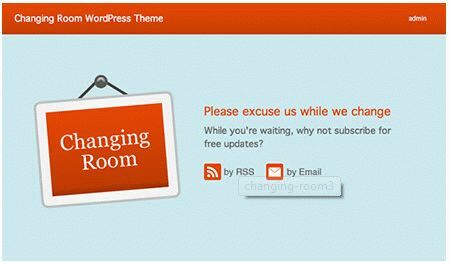 WordPress theme with special option panel for quick and easy setup. Tempskin is a simple, one column, fixed width white under construction theme. 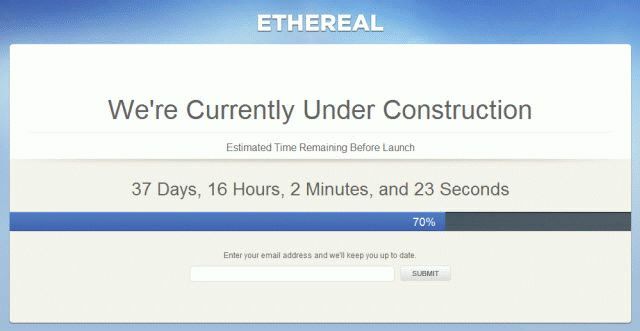 Ethereal – Under Construction is a clean single page “Under Construction” template, designed to keep your users up to date on your sites progress. It has 5 color schemes, 2 PSDs, Progress Bar – from 0-100% in 10% increments, with automatic text & much more. It has options to choose colors of your choice in every aspects of the theme. You may change fonts, background color or image, content color, product image and so on. So, your imagination is the limit. 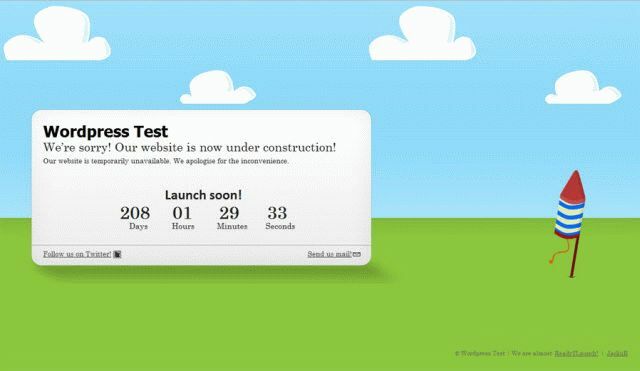 LaunchIt is an “Under Construction Template” inspired by Apple’s simple and sleek website. The template is easy to edit and comes with 2 variants, black and white; each of which has 4 colours (blue, pink, green & red), IE6 Browser Check, Countdown, AjaxForm with Validation, Flash Image Rotator, Twitter Updates. WP Wrench offers you WordPress back administration pannel, customisable links and text messages, Main image customisable (you can make your own!). 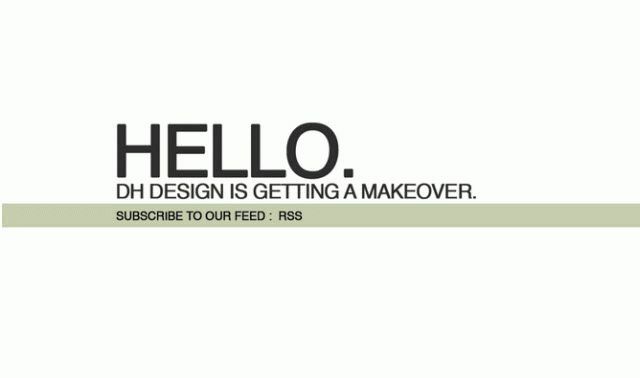 RSS, Email and Twitter icons show up when you configure them from back (Automatic). It is XHTML/CSS Valid. Here are theme options for Facebook, Twitter, Email Address, LinkedIn, RSS feed, and stripe color. You may use this theme as-is, or rip it apart and make your own. This beautiful holding page includes a content slider, a timer countdown and a progress bar! You also get your social network links and a email subscription form. 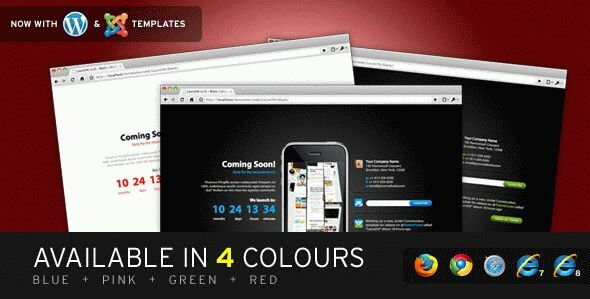 Meego App theme offers 5 color schemes, Countdown script, Working contact form, Newsletter subscription form, Social icons, Labelled and layered PSDs, Fontface, Valid XHTML, Well documented Screencast for installing and using the WordPress version. This theme comes with 8 different colours, adjustable jQuery countdown & progress bar, social media interaction, display your latest tweet on the page, link to your twitter account, link to your facebook account, rss feed link, newsletter sign up & many more. The Theme Features includes Photoshop file of the header logo, Responsive layout design, Upload your own logo, Change background color, Favicon uploader, Enable progress bar to indicate the progress of your site; where you can choose from 10% – 100%, Change the color of progress bar with color wheel picker, Widget-ready left and right; where you can place newsletter sign-up and social media buttons, Compatible with the latest WordPress, Cross-browser compatibility, Read theme documentation. Lexiity is a clean-looking coming soon theme that comes with a countdown timer, social media buttons, and an email capture form. It provides choice of different skins and a shortcode generator for things such as columns, buttons, quotes, etc. 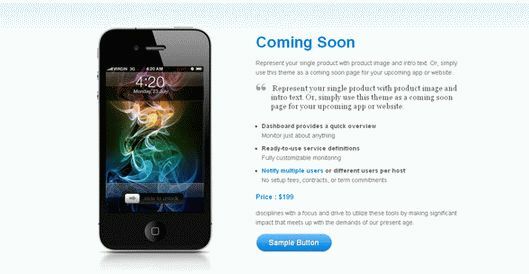 A responsive theme that provides a coming soon landing page and allows visitors to subscribe to a mailing list. 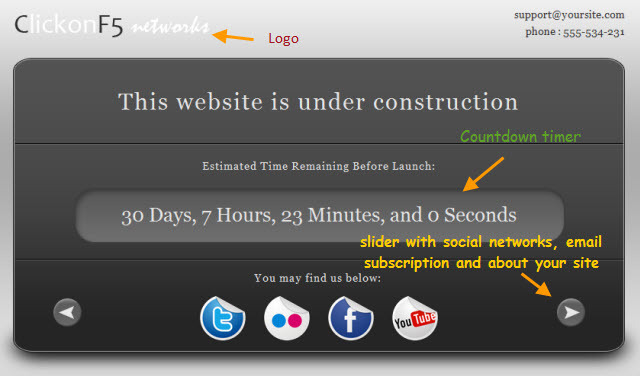 The WPChimp Countdown theme works by setting up a page on your site and then applying the template to that page. 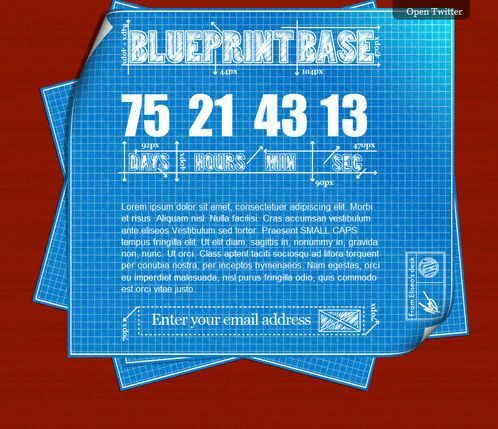 It comes with a header, a content area, a simple but large countdown clock, and an email capture form. The Placeholder theme gives you an attractive, ordered look with the ability to place intro text, social media buttons, a countdown clock, and an email signup form all into a tight space.